Luvable Friends Basics are a great way to get your basics covered at an affordable price. 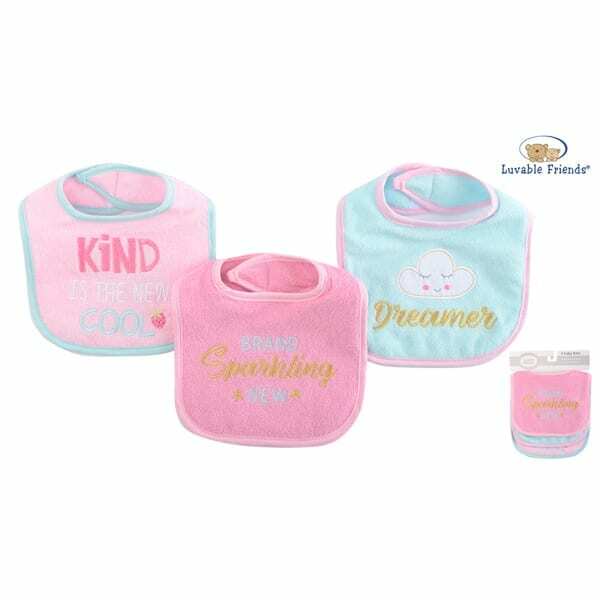 These 3 fun sayings drooler bibs are a great way to accessorize and keep your little one’s clothes clean! Made of cotton blend knit terry, these are absorbent for all the spills and dribbles. Bib measures about 6 inches from neck down. Self adhesive, hook and loop closure.